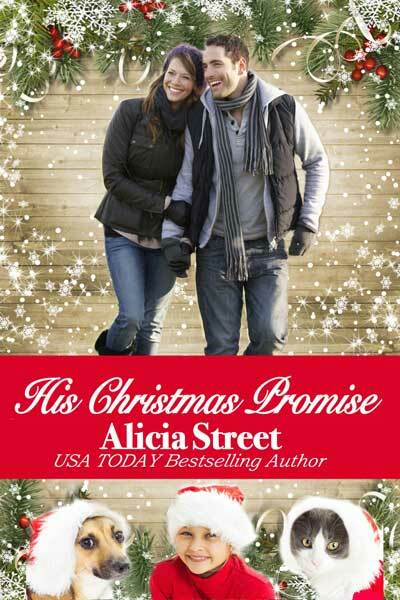 SNEAK PEEK OF A CHRISTMAS PROMISE AND CHANCE TO ENTER RAFFLECOPTER! Veronica Hughes walked out of the gray stone building and was guided across the windy pier by a man wearing big fat baby-blue earmuffs—the industrial strength variety. The kind especially made for manly tasks like firing pistols at the range, using leaf blowers, or in this case, escorting customers to their designated helicopter. Her ride sat perched at the edge of the asphalt landing pad amid an array of white circular chalk lines: a cool jet-black helicopter with its mighty blades already roaring and chopping through the crisp November air. Its windy downdraft caused ripples in the water of New York City’s East River that surrounded the downtown Manhattan pier. It also sent Ronni’s long straight brown hair swirling about, although the set of regulation muffs she wore helped keep it somewhat out of her eyes. Enough to see that the pilot waiting in the cockpit was Justin Reynolds. She told herself it didn’t really matter, that whatever pilot was assigned to her flight would be fine. So how come she couldn’t suppress that happy relief that bubbled up knowing she’d get to see him one last time? Foolish girl. Did she really want to be just another notch on his belt? Another female conquest? Mr. Alpha’s latest fix? When the guide at her elbow helped her climb into the helicopter and buckled her safely into the seat right up front beside the pilot, Justin turned his head and faced Ronni, his brown eyes fixed on hers. He always looked like he’d stepped right out of one of those old World War II movies she’d seen on TCM—all virile and ready to rumble, his broad shoulders filling out his brown leather flight jacket. Perfect square jaw. A wisp of dark hair across his forehead. He cracked a warm grin and a thunderbolt shot right through her. How was it that a mere look from this man could wake up some part of her she’d thought was long gone? Holding her reaction in check—she wasn’t about to let him think she was one of those silly women taken in by his looks—she offered him a stiff, businesslike nod. Since she was the only passenger on this chartered flight, Ronni’s headset had a mouthpiece that allowed her to speak back to him. Too bad his deep voice in her ears sent her into a state of brain freeze, so all she could manage was a nod and a squeaky hello. How could she allow him to affect her like this? Especially after she saw what a hotshot he was on the group shuttle flight she’d taken into the city this morning. At six hundred dollars a pop, the other five seats on that flight had been occupied by “beautiful people” straight off the gossip pages, including a few fashion models who’d flirted with the hunky pilot and vied for the seat next to him. Luckily Ronni’s client was even wealthier and usually chartered a solo flight for her, to the tune of $3500.00. She couldn’t help thinking how many shelter animals that could feed, or needy children for that matter. But she couldn’t risk losing her job by opposing a client’s way of doing things. The ground fell away as the helicopter rose up, its nose dipping slightly downward when it moved east across the river toward Long Island. As they sailed above Brooklyn’s gray skyline, the buildings below bunched together like toys she almost felt she could reach out and grab in the palm of her hand. Ronni recalled her days backpacking in the Rockies and the deceptiveness of distance. Mountains that were miles off seemed only a short jaunt, when in reality they equated three days of hard trekking. Her eyes went wide. He actually remembered. To keep her racing pulse in check, she reminded herself this was just a comment coming from a pilot doing his job to make customers feel special. It did not mean this well-practiced player had any feelings for her. “You must be one heck of a physical therapist.” As if the compliment weren’t enough to throw off her cool performance, he flashed her that devastating smile of his. “Actually, I’m only a physical therapist assistant.” She’d dropped out of college to work full time to put Craig through law school. Then it was going to be her turn when he finished and signed with a firm. But her turn never came. “Walker told me he’s ready to get back in action, thanks to you. Says he’s stronger than ever.” Mega-star action hero Walker Strout had been flying Ronni into Manhattan for his private physical therapy sessions every week. He’d originally been treated out in Southampton in one of the hospitals where Ronni worked part time, and he’d specifically requested that her supervisor give Ronni the eight-week assignment. Its completion was like a gold star on her career file. She should have been feeling elated—and would have been if she hadn’t developed this stupid teenage crush on the man who piloted her flight each week. Even though she tried to keep her distance, he always managed to pull her into interesting conversations. Every week after seeing him she’d find herself thinking about things he said—and eagerly awaiting a chance to be near him again. Good thing it was ending. She didn’t have time or energy for this nonsense. Why did I just say that? Where is my control? How embarrassing. Ronni knew he was referring to the one day she’d lost her cool. After having a texting argument with Craig, she couldn’t hold back venting her frustrations in front of Justin on the return flight. His eyes stayed on her as if he wanted to say something else. But he didn’t. Ronni wasn’t sure what to make of his offer. Despite her overpowering attraction to him, she would guess this flyboy Romeo was like most men. Never seeing beneath the surface when it came to women. Even when it came to their wives, as she’d learned from her disastrous marriage. It took her six years to realize her ex didn’t really know her and never cared to discover who she was or what she wanted. She’d never be that stupid again. About forty minutes after takeoff, and moving at 178 miles per hour, Justin looked out to see signs of their destination. He flew along the coast of Long Island Sound, but beyond the ribbon of sandy beach lay a gridwork of greenish gold rectangles dotted with tiny gray rooftops. The farms and vineyards of the North Fork reached into the distance, spanning a long skinny finger of land that led to the Atlantic Ocean. Justin loved this place. He’d grown up on a farm in the down-home, rural North Fork, but he could also appreciate the more fashionable South Fork where he regularly delivered New York City passengers to the Hamptons. Right now he was headed for the heliport in Greenport near the tip of the North Fork. She glanced up at him and smiled. Justin loved those luminous amber eyes of hers. She was an angel with chestnut hair and a quick athletic body. He liked that she didn’t dress in a showy way. She wore a simple navy blue woolen pea jacket with practical loose-fitting trousers that would allow a physical therapist to move freely in her work. Justin knew he should keep his mouth shut and just focus on flying the copter, but something inside him wanted desperately to change her mind about men. Face it: the truth hurt. She may have a bad attitude, but could he blame her? Considering the one-night stands that made up his social life, guys like him didn’t exactly inspire female faith in the male gender. Who was he to judge her cynicism? After all, Justin Reynolds was a perfect example of the kind of man who wasn’t good enough for a woman like her. So why was she getting under his skin? What did he have invested in changing her opinion of him? Why not simply chalk her up as a hot girl who had his number and didn’t feel like playing his game? Maybe because lately Justin sensed that something was lacking in his life. A deficiency nagged at him. He felt like a person who’d lived on fast food for too long, then found himself craving something different. Something nourishing, life inducing. Everyone had a breaking point, that time when out of the blue they hit the wall and end up making changes. Was Ronni his catalyst for change? Buckled into the black leather backseat of her father’s car, eight-year-old Daphne Hughes glanced at her dad and Ellen up front, then whispered a secret to Cuddlebug. She didn’t really have to whisper it because Dad and Ellen never listened to anything she said anyway. Right now they were busy talking about their boring law firm stuff, as usual. It went this way every visit. Her dad would ask how she was doing in school and start looking at his phone while she answered him. Ellen would tell Daphne she had pretty blond hair like her dad’s, then order a pizza or Chinese food, and Daphne would eat while Dad and Ellen talked to each other. After that they’d go into their home office and work, leaving Daphne in the room with the giant TV. That was why she’d asked her father if she could bring Cuddlebug along this time. Her tawny-colored doggie with big brown eyes was the best company ever. When her dad said yes this morning, she’d let out a giddy squeal. Except when they got to his house, Ellen got mad and said the dog would mess on her rugs. So Daphne told them she really wanted to play outside in the back yard today and headed out there with Cuddlebug. That got them to stop arguing. Trouble was, Daphne forgot the weather had turned cold. Thanksgiving was coming next week, but it felt more like Christmas. After a couple hours, her dad came out and tossed a football around with her, but by then her fingers were like ice sticks and she missed each pass, making him grumble something about girls. She thought she’d warm up having Cuddlebug on her lap here in the backseat of the car, but then Ellen insisted on having all the windows wide open. Daphne wasn’t sure if she believed what Ellen said about dogs needing to have lots of air, because she saw her give Daddy a look and hold her nose. Even though Cuddlebug wasn’t that big, he was kind of heavy on her lap, his head taller than hers as he sat. He kept fidgeting and making nervous whines, and his head was sticking pretty far out the window. “Don’t worry, boy. We’ll be home soon,” Daphne whispered, hugging her arms around Cuddlebug’s narrow back, brushing her fingers into his coarse fur. “And Mommy will be home by the time we get there.” Just as she said it, Daphne got that uncomfortable twist in her tummy. It happened this morning when her mom left for the place she called a heliport. She might be flying in the air right now. Daphne leaned her head near Cuddlebug’s and tried to look up at the sky, but that only brought back the nervous crimp in her stomach. What if the helicopter crashes and Mommy never comes home to me? She squeezed her eyes shut. Please, please let my mommy be safe. Daphne took a few breaths the way her mom had taught her to do when she got too worked up. Then she sat back and watched the world go by from the car window, her beloved pooch doing the same. She held tight to the dog, pretending her arms were his seatbelt. They passed a bunch of shopping malls and then the landscape turned to woods. Lots and lots of boring woods. So Daphne started thinking about Christmas coming and pretended she and Cuddlebug were riding in Santa’s sleigh. Her fantasy was interrupted by her father using a swear word—the kind she’d been told never to say—followed by horns honking, screeching brakes, and a jolt that sent her lurching into the seat in front of her. A loud bang came and then a second jolt, this one bigger than the first, lifted the car up off the ground. For a split second it seemed like the fun ride her mother took her on at Luna Park, the one that spun around while sailing through the air. But this one hurt. Her arm banged hard against the door when she was thrown to the side. She heard Ellen scream. And in what seemed a blur, she watched Cuddlebug fly straight from her arms and shoot out the window into space. “No!” Daphne cried and desperately tried to unlock her seat belt so she could go after him, but it was jammed. Or maybe her hand just wasn’t working right. The cars had all stopped and she heard a siren in the distance. Daphne’s father bolted out of the driver’s seat, rushed around to the front passenger side, and tended to Ellen. Unable to get the buckle to release, Daphne started yelling out the window for her dog. He always came when she called, but now as she watched him in the distance and could only sit there desperately shrieking his name, she saw his skinny brown tail disappear into the woods that bordered the expressway. “You okay?” asked her father while opening her door. “Cuddlebug got scared and ran away.” Her voice cracked and she couldn’t stop the tears that would only make her dad start muttering complaints about “girls” again. Yeah, her wrist hurt. A lot. But they were miles from home. If she left here now, how would Cuddlebug know where to find her? “I’m not going anywhere without Cuddlebug,” she sobbed. “Quit whining. I’ll get you a new dog. A better one than that mutt.” He picked Daphne up and carried her across the road toward the arriving EMT. “Nooooo.” She let out a wail that turned into a shriek. Daphne knew she was making a scene, crying and howling like a baby, but she didn’t care. All she cared about was getting Cuddlebug back. Alicia Street is a USA Today bestselling author and a Daphne du Maurier award-winner. She writes both sweet and steamier romances and sometimes collaborates with her husband, Roy. 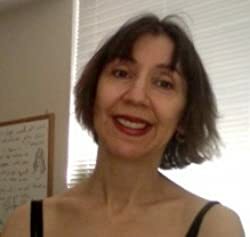 She spent many years as a dancer, choreographer, and teacher and is a compulsive reader of every genre. Alicia grew up with dogs and cats and could not imagine living without furry pals.